This thing looks well done. 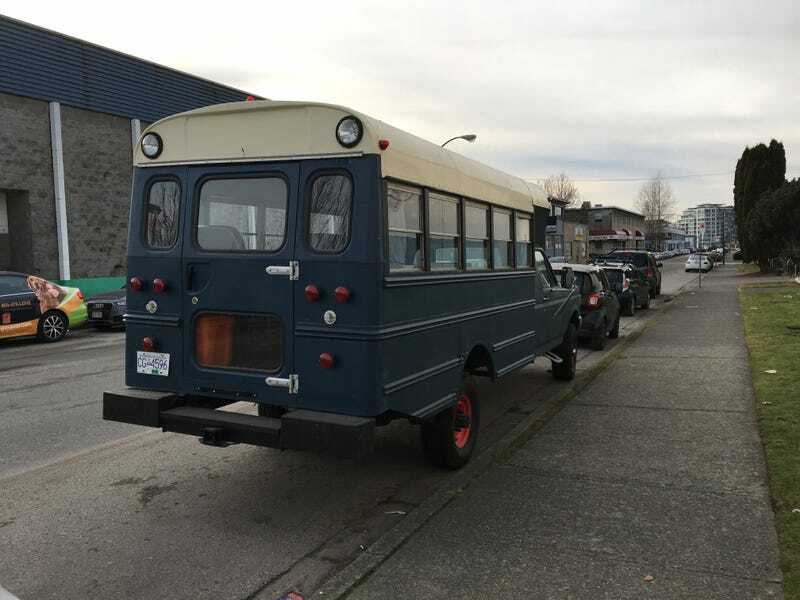 No rust to be seen, a table inside and probably a bed too, propane tank for I assume a stove, serious looking lights at the front and rear of the bus body. Also it’s manual. Do want. Also this. I didn’t stop and get a look up close, but this is definitely a new one. I’ve seen a couple vans that have had the bodies chopped into pickup beds, and one that used to be a chassis cab and had a flat deck added instead, but never one of....whatever this is. I’m impressed.